Last time on Decoding Design, I decoded the basic terminology regarding color profiles. This time, I’m going to decode the world of building a website. This is a conversation I have to have fairly often with new clients, so I developed a way to explain web things in non-programming terms. Your website is basically your home on the web, right? So let’s go with that metaphor. There are 5 main components and terms you’ve probably heard regarding having a home on the web: hosting, URL, website, FTP, and mail server. Hosting is basically the house or apartment. When you buy a hosting account, you are buying space on a server somewhere to store all of the stuff that will make up your website. Depending on how big or flashy your website is going to be, you may only need a small 5MB hosting plan with minimal features (your online efficiency apartment) or you may need a bigger, unlimited space account with all of the advanced programming languages and features enabled (your penthouse condominium or mansion). Naturally, the prices correlate with the size of the hosting account that you need, just like housing. Most hosting accounts need to be renewed annually, although you can buy up to 3 years of hosting at a time. Monthly or yearly payment plans are usually an option. URL stands for Uniform Resource Locator, though no one calls it that. It looks like www.yourwebsite.com, and is also called a domain name. The URL or domain name is your website’s address, and is what people type into their web browser in order to visit your site. Think of it like a street address for a real house – it tells people where to find you, and is part of how they distinguish your house from another. The cool part is you get to pick your house (hosting) and attach whatever address (domain name) you want to it, as long as it’s not already taken. You will have to register your new address (otherwise you don’t really have a claim on it, or have it associated with you) and renew it yearly. Most hosting companies offer domain registration services as well, though you can do it through a separate company. When people refer to a website, they’re usually referring to the content and possibly design of it, rather than which hosting plan or domain name you use. The meat of a website is all of the stuff on it – text, pictures or other media, how the pages are organized, how it looks, interactive features, etc. Think of it like all of the stuff in a house – how you designate which rooms are which, how you decide to decorate them, all of the furniture and knick-knacks you fill it with. That is what really makes it your home, your website. In programming terms, it’s all of the files (which are stored on the hosting account) used to create the website that people see when they come to your domain name. FTP stands for File Transfer Protocol, but you’ll rarely heard it referred to as that. Your FTP server is basically like the security system on your web home – people have to know the correct code in order to get inside, and have access to all the stuff in the house. When they go to your domain name, they can look at your house and the stuff in it, but without FTP access they can’t change anything around or remove anything. This is what you or your website manager uses to upload or download things from your site, add new content, remove old content, move things to a new page, etc. The mail server is, funny enough, how your home on the web receives mail – in this case, email. The server usually is something like mail.yourwebsite.com, and works like a post office. Each person in your house can set up an email address (*protected email*, *protected email*) and that is how the mail server distinguishes where to deliver the mail. It’s kind of like each person installing their own mailbox in front of the house – their address is still that house, but what comes before the @ symbol in the email address determines which mailbox the mail goes into. When setting up Outlook or another email client to retrieve the mail at your new web address, you will need to know both the incoming and outgoing mail server addresses. Again, this is usually mail.yourwebsite.com, but your website manager can tell you for sure. Does that help clear things up? 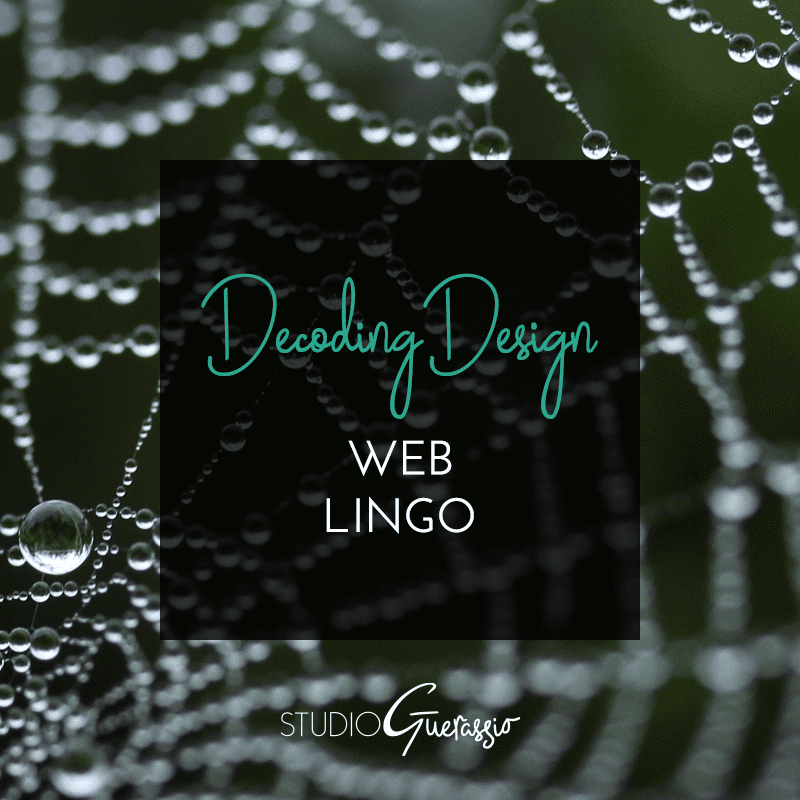 Any other web terms that are fuzzy?